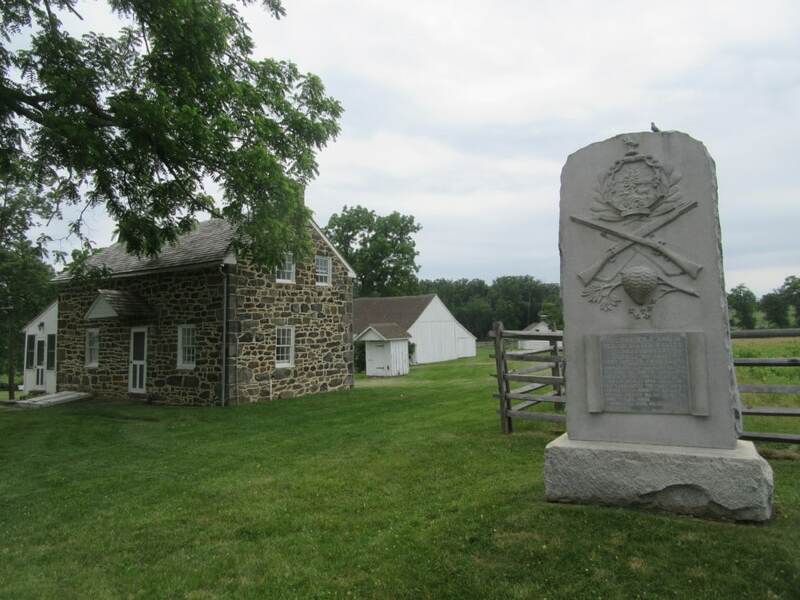 Slyder Farm with Sharpshooter Monument - Aged Woods, Inc. The Slyder Farm from the farm lane. Note the monument to the Vermont Sharpshooters and the beehive on it. The Confederates described the fire they faced as a “hornet’s nest” and the sharpshooters had that placed on the monument.